HELPING SAVE THE WORLD FROM LOOSE TOILET SEATS! 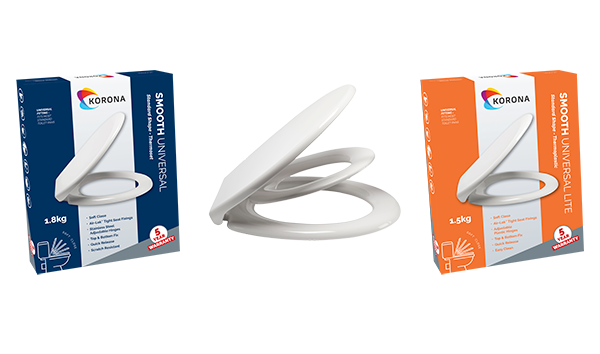 Korona is a comprehensive range of premium quality, affordable toilet seats. Our clever Air-Lok system expands as fitted, gripping the toilet pan to create a rigid fixing that secures the seat in place and puts a stop to seat twisting and movement once and for all! No more seat movement! PREMIUM QUALITY TOILET SEATS THAT STAND OUT FROM THE CROWD!